Edo State Governor, Mr Godwin Obaseki has revealed his administration’s intention to work with the National Directorate of Employment (NDE) in tackling employment while noting that the issue of unemployment was hard to tackle if the government and other relevant stakeholders did not identify the key areas such as agriculture. Godwin Obaseki gave this charge in Benin City yesterday when he met with the management team of the NDE, who were in Government House on a courtesy visit. Urging the agency to be more proactive and to apply strategies in its employment techniques, he said the state government would collaborate with NDE to help train the necessary personnel, who would be identified in the chain of production. Obaseki noted that his administration’s strategic approach towards creating jobs in fulfilment of his electioneering promises was to first take cognisance of the state of the economy, understand the size of the problems and also identify key areas where jobs could be created. The governor said there was lack of investment in large-scale agriculture because investors did not have access to large expanses of land for optimal utilization. 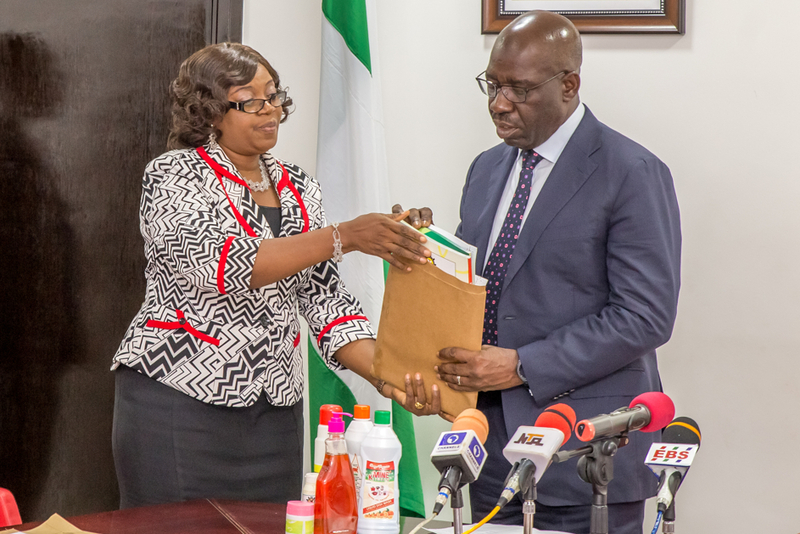 In addition, he maintained that the government of Edo State had acquired about 250,000 hectares of land for use in agricultural activities during the cropping season, this year. In his analyses, other areas his administration had shown commitment to were in signing an MOU with a power plant company, the Azura power project aimed at boosting electricity supply in the state and the rehabilitation of Benin Technical College as a means to improve on capacity building. He called on all relevant stakeholders to work harder to discourage the youths from travelling abroad in search of greener pastures. According to Mrs Ayo Edegbai, the Edo State coordinator, who represented the Director General of the employment body, listed the programmes so far executed by the agency to include Vocational Skills Development Programme (VSD), Small Scale Enterprises (SSE), Rural Employment Promotion programme and Special Public Works Programme (SPW). While seeking collaboration with the state government, she said about 100,000 people in Edo State had benefitted and gotten resettlement from the NDE programmes. Meanwhile, the state NDE boss said the agency had already collaborated with Shell Petroleum, Faith-Based Organisations, LAPO and some members of the Edo State House of Assembly.